Music director Dhamodaran, once a great artist, struggles to rebuild his life after tragedy strikes in this moving drama. Anguished by their wayward drunken son, Dhamodhar's wife succumbs to emotional strain and dies, which in turn leads to Dhamodhar's sudden paralysis. 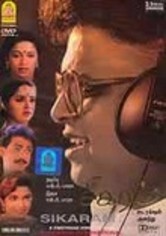 But when a specialist comes to help the ailing musician, he realizes she's his first love, Radha, from many years ago. Will rekindling this relationship heal the grieving man?